With amazingly vivid imagery, a smart plot and a rewarding execution Sasami-san@ganbaranai is what The Melancholy of Haruhi Suzumiya tried to become but never could. The notion behind Sasami-san is pretty shrewd – Tsukuyomi Sasami appears to be a normal teenage girl but is in fact the heir to an ancient family of priestesses that genetically inherit the world-changing power of the sun goddess Amaterasu. She was trained to become a mindless vessel that holds and restrains this power. But after experiencing the temptations of the outside world she runs away from home, and alongside her older brother moves to a regular house. Of course, when someone with a will of her own and earthly desires becomes the vessel of godly powers the world is at risk…of becoming a very interesting place! The trick to Sasami-san@ganbaranai is that nothing is as it seems at first. Its first episode is utterly unintelligible on its own. But then a second, relatively tame, episode follows with some honest-to-god explanations. By the third episode I found myself not only impressed by the artbook-quality visuals and cool battle animation but by the sheer vision that bind it all so neatly. There’s a dark past shrouding Sasami and her brother Kamiomi, weird characters that don’t always conform to the norm, and the world-changing powers that keep everyone on their toes. To that end Sasami-san is clearly walking in The Melancholy of Haruhi Suzumiya’s lane: Sasami has the power to change reality, her brother serves as her balancing factor (when he does his job right, that is), and three other peculiar and eccentric women help guard the world from Sasami when things go awfully wrong. 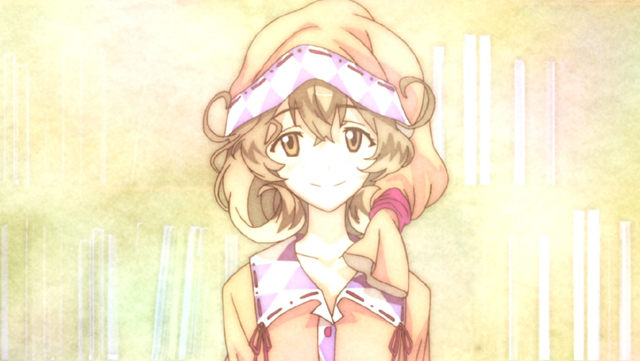 But Sasami-san is much more elegant and charming than Haruhi ever was. And it does that by keeping it clean. 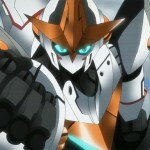 You won’t find any huge info-dumps here, nor will you have to wait ten episodes before the series starts making sense. Sasami-san is instantaneously fun, and at such an early stage in this anime season a humble compliment such as this is more than enough proof that you should be watching it.